I come from a line of women who have “green thumbs.” My great grandmother, grandmother, and my mother all could just look at a plant and cause it to flourish and bloom. I however, somehow missed that gene all together. Never the less each spring I get excited about the colors and the beauty the flowers bring. A secret dream is for me to be able to hire a full time gardener who would water, weed, plant, and nurture my yard and flower beds EVERY day! Here it is spring time once again and I walk through my local Home Depot looking at all the beauty in the garden center. I get excited and decide, “This year I can do it. I can remember to water and take care of flowers and they will flourish under my care.” Then I hear my sweet teenagers voice saying, “Mom you know you will just kill this plant, please don’t buy that.” Yet I am determined that I will be a master gardener….ok not master exactly but at least I want to be able to plant beautiful flowers and keep them thriving. I then found this from Better Homes and Gardens so I think I’ll put on my gardening gloves and head out to Home Depot and make my yard the envy of all the neighbors…..or at least I’ll try! 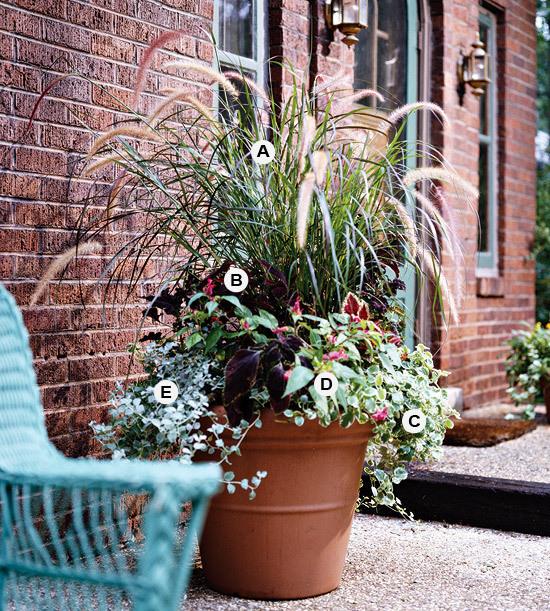 Better Homes and Gardens has some great containers gardens which will inspire you with step by step instructions! How easy is that?! If you haven’t liked my Facebook Fanpage jump on over and do so. I post give-a-ways and other great things from other bloggers. If you have something you want me to post head over and let me know! Until next time, enjoy your day, your family, and your home! Next Post Is There Cash In Your Kids Closet? I really enjoy container gardening, too, but it’s difficult to find good quality pots that will hold up in our AZ climate. My hubby knows me so well, and always tries to get the automatic water hookups to any pots I plant. During the hottest season for us, pots need to be watered twice a day — I would never remember to do that!